This little ATC is going out to a dear friend of mine. Thought I would take a picture of it before it went out the door. 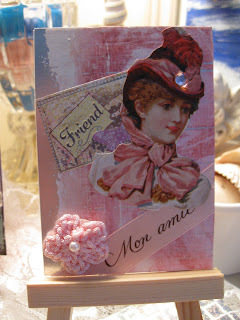 I love making ATC's as you all can see lately.